You may not know this, but every product and treatment you apply to your hair breaks precious disulfide bonds within its follicles. Obviously, bleaches, dyes, and heat treatments aren’t great for your hair, but shampoos, conditioners, and hair masks can also damage the bonds in your hair over time, leaving it dryer and more brittle. Even the sun, seawater, and chlorinated water from swimming pools can damage your hair! Olaplex products are specifically designed to repair your hair’s broken bonds at a molecular level, restoring it to its original strength, healthiness, and shine. 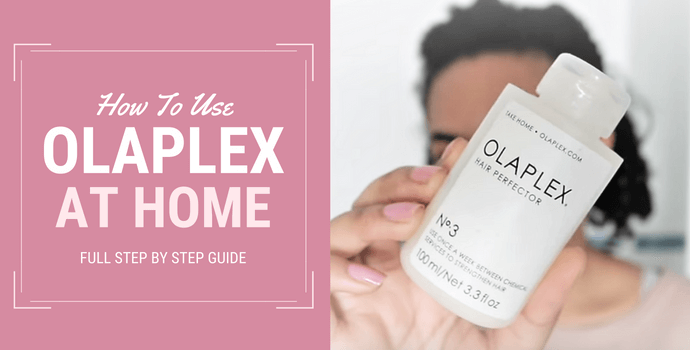 This is the ultimate guide on How to Use Olaplex No. 3 at Home. I will answer some important questions about the Olaplex No. 3 Like can you leave it overnight? How long does it last? and how frequently should you use it? 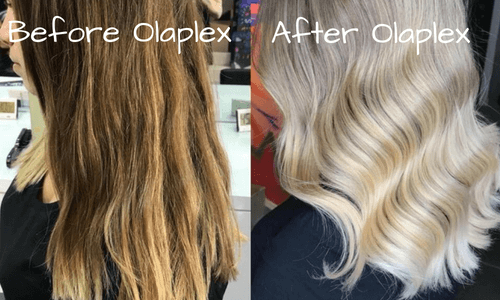 How Does Olaplex Gain Its Popularity? Olaplex No. 3 has gained a cult following among celebrities, pro hairstylists, and regular everyday consumers. 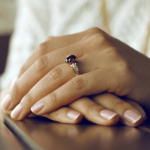 It’s been featured in publications like Glamour Magazine, Allure, Refinery29, and Women’s Health. Celebrities like Kim Kardashian, Jennifer Lopez, and Drew Barrymore swear by Olaplex No. 3 to protect and strengthen their hair through numerous dye jobs, styling treatments, and heat processes. Finally, consumers themselves have given rave reviews to Olaplex No. 3. Many people credit this miracle product for saving their hair after bleaching gone wrong, extreme color changes, and years of damage due to heat styling, perms, and chemical straightening. No matter how damaged your hair is, Olaplex No. 3 can save it! Olaplex is beloved by professional hairstylists and salons all over the world for its unbelievably effective step-by-step hair care program. The space-age science behind it almost sounds like it comes from a movie: Olaplex products rebuild broken disulfide bonds within the molecular structure of your hair, reversing the damaging effects of heated styling tools and harsh chemical treatments. If your hair is dry, dull, damaged, frizzy, or breaks easily, you can trust Olaplex to heal your follicles and restore them to their happiest, healthiest selves! The first three steps in Olaplex’s patented hair treatment system are not the same as shampoos and conditioners. Instead, they’re meant to supplement your pre-existing haircare regimen, ensuring that your hair is as healthy as possible. Olaplex No. 1 and Olaplex No. 2 are meant to be used as part of the hair coloring process to prevent your hair from damage. Olaplex No. 3 is an at-home version of Olaplex’s bond multiplying technology, so you can see continued great results long after your hair has been dyed! What is Olaplex No. 1 and 2? Olaplex No. 1 is a bond multiplier. It begins to rebuild all of the broken disulfide bonds within your hair, repairing existing damage and helping to prevent future damage. It’s supposed to be mixed into bleach or hair dye to help protect your hair from the damaging effects of harsh chemicals. Olaplex No. 2 is a bond perfector. It works to rebuild any of the broken bonds that Olaplex No. 1 missed, leaving your hair stronger, softer, and shinier. It’s meant to be applied right after you finish bleaching or coloring your hair. Olaplex No. 1 gets mixed into your bleach or hair dye. The amount of Olaplex No. 1 you should mix in depends on your hair length and whether you’re using bleach or dye. Carefully follow the instructions included with Olaplex No. 1 so that you know the exact proportions you should be using for your hair! After you rinse the bleach or dye out of your hair, you’ll find that Olaplex No. 1 has protected it from harsh chemical damage, leaving it much softer, smoother, and shinier than usual! Next, after you’ve finished dyeing or bleaching your hair and have rinsed it all out, apply Olaplex No. 2! Apply a generous amount from root to tip and leave it on for at least 20 minutes, so that the formula has enough time to repair all of the broken molecular bonds that Olaplex No. 1 wasn’t able to catch. After at least 20 minutes, hop in the shower and use your regular shampoo and conditioner to rinse Olaplex No. 2 out. You’ll notice that your hair is super silky, smooth, and feels hydrated and soft to the touch! Olaplex No. 3 is unique because it can be used at home without bleach or hair dye. If you don’t live close to a hair salon that offers the Olaplex treatment or if you don’t frequently bleach or dye your hair, Olaplex No. 3 is a great way to get the same benefits in the comfort of your own home! It’s incredibly easy to use and produces amazing results! Olaplex No. 3 works equally well for every kind of hair, from rail-straight to wavy to curly to tightly coiled. No matter whether your hair is thick or thin, color-treated or undyed, Olaplex No. 3 will work for you. It targets your hair from the inside out to reduce structural damage and help it grow stronger. If your hair has become brittle and strawlike due to curling wands, straightening irons, or harsh bleaches and dyes, Olaplex No. 3 will heal it and protect it against further damage. Even if your hair is already pretty healthy and strong, it can still gain softness, shine, and smoothness from Olaplex No. 3. Olaplex No. 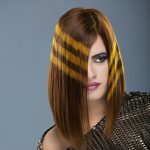 3 has a completely unique haircare formula that was developed and patented by Olaplex’s world-class team of chemists, stylists, and hair experts. Its unique ingredients penetrate the structure of each strand of your hair to undo years of damage from sun, heat, and chemicals. Plus, Olaplex No. 3 is formulated to be completely free of parabens, sulfates, and phthalates, so its ingredients won’t irritate your skin, damage your organs, or increase your risk of cancer and reproductive toxicity. It’ll make your hair even healthier without compromising the health of your body! How to Use Olaplex No. 3 at Home? Olaplex No. 3 is incredibly easy to use. All you need to do is apply a generous amount to your damp, towel-dried hair, making sure to fully coat all of your hair from root to tip. Then, comb it through. If you’d prefer not to dampen your hair, you can apply Olaplex No. 3 to your dry hair, but you’re going to need to use a little more product to ensure that the formula fully saturates all of your hair. Then, leave the product in for at least 10 to 15 minutes. If you want, you can leave it in for longer. Some Olaplex No. 3 lovers recommend leaving it in for one to four hours for a more potent effect. Just make sure to keep your hair out of your eyes to avoid irritation as you sleep. The longer you leave this product in, the more benefits you’ll experience! Whenever you’re ready, you can rinse it out! Jump in the shower and rinse your hair, and then use your regular shampoo and conditioner to wash it all out. Remember, Olaplex No. 3 may look and feel like a conditioner, but it isn’t one. You still need to use your regular conditioner after applying Olaplex No. 3 to see the best results. Finally, you can hop out of the shower and style your hair like you normally do. You’ll notice that your hair is much softer, shinier, silkier, and easier to style after just one Olaplex No. 3 treatment! Can I leave Olaplex No 3 in my hair overnight? Also, Tanya added “Olaplex reaches its max efficacy at 30-45 minutes, however, Olaplex is actively working in the hair as long as the hair remains moist. How Often is Best to Use Olaplex No. 3? 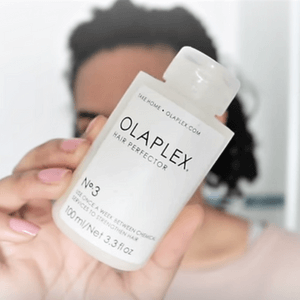 If your hair is generally fairly healthy and strong, but you want help dealing with frizz and flyaways, it’s recommended that you use Olaplex No. 3 once a week for the best results. You’ll notice your hair getting smoother and more manageable with every coming week! If your hair is very brittle, dry, and damaged, then you should use Olaplex No. 3 two or three times a week for optimal results. You’ll notice your damaged hair healing and growing stronger with every application as it responds to the treatment! How Long Does Olaplex No. 3 Last? Olaplex No. 3 gives you both short-term and long-term results! After your first application, you’ll already see a noticeable difference in the texture and manageability of your hair. As you continue to apply Olaplex No. 3 regularly, you’ll find your hair grow stronger and healthier as the formula works to repair all of the broken bonds in each strand of hair. If your hair was previously damaged and unhealthy due to bleaching and dying, you’ll find that your hair regains its original strength and softness as time goes by. If you decide to drastically change your hair color after starting an Olaplex No. 3 regimen, you’ll be pleased to see that your hair isn’t nearly as damaged by the harsh chemicals of bleach and hair dye as it would be without Olaplex No. 3. You could even go from jet black hair to bleach blonde without suffering from extreme dryness and breakage! If you’re curious about the effects of Olaplex products and are looking to give them a shot, try one bottle of Olaplex No. 3. Use it as instructed, and if you’re impressed and want some more, book a standalone Olaplex treatment appointment with your local hair salon to get the full effect! No matter whether you have bleached, heat-processed hair or virgin undyed hair, Olaplex No. 3 can do a lot to make it stronger, shinier, and healthier! I hope you Liked our How to Use Olaplex No. 3 at Home article useful.